This will be the sixth and final installment in our Medicaid planning series on MMMNA, or the minimum monthly maintenance needs allowance, which is the minimum income allowance for the community (or well) spouse in a Medicaid claim. If you didn't see the first five posts, click on the links to find numbers One, Two, Three, Four and Five. The one thing most people don’t understand when calculating MMMNA is determining the snap shot date, which is the date used to calculate the community spouse resource allowance (CSRA). On the snap shot date the Medicaid authorities will take a snap shot of all of the client’s assets, and that’s how they determine how many assets the applicant has to be divided by two. Medicaid law says the snap shot date is the first day of the month that the Medicaid applicant is admitted to a healthcare facility for at least 30 continuous days. So what happens if the applicant is not admitted for 30 continuous days? That breaks the required continuity and you won’t have a snap shot date. What if the applicant went in on the 15th of the month? If that was the first of 30 continuous days, the first day of that month would be the date that you calculate the CSRA. Not the 15th of the month, but if the client went in on April 15 and stayed at least 30 days, then we have our continuous stay on the 15th of April and the first day of that month would be April 1. That would be the date to use our community spouse resource allowance. A couple of details are important in this calculation. For one, hospital and nursing home stays are considered continuous institutionalization. And that’s what we’d typically call this: the first day of continuous institutionalization, and hospitals and nursing homes piggyback. So, for example, if I have a client that goes into the hospital on November 15, and then goes into a nursing home on December 3, and then into your office on January 3, what’s the snap shot date? The first question to ask yourself is, have there been 30 days of continuous institutionalization? Your answer is yes. The client went from the hospital to the nursing home, and those two piggyback, so there have been 30 days. The next question is, when did the continuous institutionalization begin? It began on November 15, so the snap shot date is November 1, the first day of the month of continuous institutionalization. Let's consider a different example. The client went into the hospital on November 15 but was discharged on December 3 because there were no nursing home beds available. Then the client goes into a nursing home on December 5 and comes into your office on January 3. Well, we know that that interruption is OK because, under the Medicare rules, as long as you get admitted to a nursing home within 30 days of your discharge then Medicare will pay the first 20 days of your stay in a nursing home. Medicare will pay the first 20 days of nursing home care as long as you’re admitted to a nursing home within 30 days of being discharged from the hospital and you were in the hospital for at least three days. But we’re not talking about Medicare – this is Medicaid. We're working on what the snap shot date would be. So the question is, have 30 continuous days occurred? The client went into the hospital on the November 15 and stayed until December 3, which is not 30 days. There was another stay from December 5 to January 3, so there is no continuous institutionalization yet. Assuming that the client stays in for another two days, then you will have had 30 days of continuous institutionalization. And since the first day of the continuous institutionalization was December 5, then the snap shot date will be December 1, and they will take a snap shot of all of the assets of the husband and wife on that date. That's all there is to calculating the snap shot date. Now that I told you how the law works, be aware that most states do not do it that way. Instead, most states will use the date you apply, which is an advantage to you. You can control the date you apply, but you cannot control the date someone is institutionalized. So again, even though the federal law spells out the rule above to determine the snap shot date, only some states follow that rule. The rest will use the date you’re in the facility and apply for Medicaid. So that’s how we deal with the snap shot date. And again, the significance of that date is that it is the date they take a snap shot of all assets to determine how many assets the husband has, how many assets the wife has and how much can be exempted under the CSRA. If your interested in learning more about MMMNA, consider joining us for our Asset Protection, Medicaid Planning & VA Practice With Purpose program June 9-11th in Chicago. Click here to register or learn more. This post continues our Medicaid planning series with a deep dive into MMMNA, or the minimum monthly maintenance needs allowance, which is the minimum income allowance for the community (or well) spouse in a Medicaid claim. We've already covered some of the basics of determining MMMNA for your clients; If you didn't see the previous posts, click on the links to find numbers One, Two, Three and Four. So, similar to the rules we covered on the individual income allowances, there’s also the asset test. Unlike the income allowances where you’re allowed $60 a month or $80 a month, under the asset test you’re allowed a certain amount of assets. The minimum is $1,500; by federal law they cannot allow you less than $1,500 of assets per month. About 80% of the states go beyond that, allowing $2,000 per month. And in a few states it's even higher. One day New York sent out a notice saying the state was increasing the individual resource allowance to $14,400, which was a windfall for our clients. There are also some states at $5,000 or other amounts, and about a dozen other states are at the $1,500 minimum. When you see a state that has a $1,500 resource allowance, then you know it's a 239B state. What does that mean? Back in the '70s there was a code section 239B that raised the allowance from $1,500 to $2,000 federally. But some states complained, so under 239B of the statute they allowed the states to opt out of the increase. Remember, federal Medicaid laws allow the states to be less restrictive but not more restrictive. So you would think if a state allows a $1,500 resource allowance when the federal minimum is $2,000, such a state would run afoul of that standard. And you would be correct, unless that state filed an election under section 239B to maintain the $1,500 minimum resource allowance. So if your state’s minimum resource allowance is $1,500, you are a 239B state. It's a term worth knowing because you might hear it at CLEs and events of that nature. So what about the community spouse? We know the individual can only have $1,500 to $14,400, depending on which state you’re in. The federal government addressed the community spouse question with the 1988 Medicare Catastrophic Coverage Act. The MCCA, attempting to avoid impoverishing community spouses, set a new federal minimum amount that a community spouse has to be allowed to keep. And what is that amount? Much like the federal government did with income limits, it set a minimum maximum and a maximum maximum. And for some reason, the minimum changes every July and the maximum changes every January. Last July the minimum was raised to $23,184, so the states cannot allow a community spouse less than that. If you’re in a max state, then your state will now allow the community spouse $115,920. And again, similar to the income exercise, if the community spouse’s assets are more than the minimum but less than the maximum, then the community spouse resource allowance (CSRA) will be the amount of the community spouse’s assets. So, for example, if I were to say that a husband had $200,000 of assets and a wife had $10,000 of assets, we would first determine who went into the nursing home. If the husband went into the nursing home, the wife only has $10,000, so she would be able to take $13,184 of the husband’s excess assets and then the rest would have to be used toward his cost of care. If the wife went into the nursing home with her $10,000 of assets and the husband had $200,000, the most that the community spouse could have is $115,920, so the difference between the $115,920 and $200,000 would have to go toward the cost of care. There are exceptions. We can keep some assets by utilizing some special exemptions. But generally speaking, the rule is very simple. The institutionalized spouse is allowed to have $1,500 to $14,400; the community spouse is allowed a minimum of $23,184 or a maximum of $115,920 if you’re in a range state, and if you’re in a max state the allowance is $115,920. So now that you've seen how to calculate the CSRA, let's try a few examples. If a couple has $130,000 of total countable assets between the husband and wife at the snap shot date, then how much would the CSRA be? The couple lives in Connecticut, which is a range state. In a range state, how much would the community spouse be allowed to keep? Well, we know that half of $130,000 is $65,000. And according to range state rules, if x is greater than the max, then the CSRA equals the max. If x is less than the minimum, then the CSRA equals the minimum or the assets. If x is greater than the minimum but less than the max, then the CSRA equals x. So in this case, that’s what we would have. Connecticut’s a range state. And because $65,000 is below the maximum of $115,920 but above the minimum of $23,000, then the CSRA in Connecticut would be $65,000. Now try another example: We’re in Florida, which is a max state. So even though half of the countable assets are $65,000, the CSRA cannot be less than $115,920 in a max state, so that is what the CSRA would be in this example. How about a case in Kansas where one half of the countable assets come to $8,500? If you're asking yourself whether Kansas is a max state or a range state, well, it really doesn’t matter for this example, does it? The CSRA minimum is $23,184, so the CSRA cannot be more than the amount of assets they have. So in Kansas, which is a range state, the whole $17,000 would be exempt, but the additional $6,184 would also be exempt if that client came into additional assets. And finally, if I’m in Arizona, which is a max state, I can never have more than the $115,920. So if the couple has $250,000, then half of that still exceeds the max. I can never have less than the minimum or greater than the max. If you’re in the middle, you get the range amount, and in this case you can keep $115,920, because there’s a total of $130,000 assets. Hopefully these examples help you understand how this works. We will wrap up our MMMNA series with a post on snap shot dates, so check back soon. Thanks for coming back for more about MMMNA, or the minimum monthly maintenance needs allowance, which is the minimum income allowance for the community (or well) spouse in a Medicaid claim. We've already covered some of the basics of determining MMMNA for your clients; If you didn't see the previous posts, click on the links to find numbers One, Two and Three. One question you might have to deal with in MMMNA calculations is the income cap, if you're in a state that has one. Income cap states are a little bit of a different animal, and they raise a question: Does the insurance allowance include the Medigap premium? Yes it does. So Medicaid will allow you to deduct any cost of insurance and Medicare will be a primary insurer, which means they’re going to allow you any insurance costs related to the Medigap because that benefits Medicaid. In other words, Medicare would be the primary payer, and Medicaid would become the secondary. Another issue along these lines is income limits. The income limit applies to the institutional spouse only in an income cap state.To review, in our previous posts we talked about the MMMNA individual allowance and the personal needs allowance, and we went over the MMMNA for a person who is married. The income cap is a different provision. In income cap states, it doesn’t matter if you’re married or single. It doesn’t matter what your income allowances are. It’s just a simple test: If a Medicaid applicant’s income exceeds $2,130, then the applicant doesn’t qualify for Medicaid. According to income cap states, that person has too much money. It doesn’t matter how much the spouse’s income is. This is an income limit on the applicant only. So in the case we had before where the husband made $3,000, he would be over the income cap and therefore would not qualify. It might sounds ridiculous and you might feel bad for people who are in an income cap state, but that's the bottom line. So our usual approach in such states is to do a Miller trust, which is a qualified income trust, or QIT. In a Miller trust, the husband assigns his income to the trust and then the trust pays the cost of care. It’s kind of silly to have to take that step, but those of you who are in income cap states are probably pretty familiar with the Miller trust, so it's not a big issue. If you’re not in an income cap state, you won't have to worry about it. That's about all we can cover in today's post. Check back back soon for a discussion on MMMNA asset tests. To learn more about Medicaid join us at our Practice With Purpose event in June. You'll experiece 2.5 days of all that you need training about Asset Protection, Medicaid and VA.
An event not to be missed! On this free webinar we will carefully distinguish the pros and cons of the use of trusts to replace high net worth planning and planning in general for successful business owners and business succession planning using iPugs instead of LLCs. Registration for this live event is FREE ... Click here now to reserve your space! A few weeks ago, I discussed my trip to Los Angeles to interview a big name – Betty White – for my TV show, Senior Salute. The topic of choice was how pets enhance the quality of seniors as they age. Betty White is a huge animal advocate. A date was set, then reset, then canceled. Was I frustrated, upset and discouraged? YES! But, I decided to take the valuable lessons I learned and celebrate the courage it took to put myself out there and be vulnerable. How many times a day do you or your employees put yourselves out there? Each time you meet with a prospective client, meet with a new referral source, learn and implement a new practice area, like Veterans Benefits, have a difficult discussion about office policies with team members, and the list goes on. The fact of the matter is that we do it all day after day. But, we don’t recognize it or celebrate it. Often we only feel the pain of it. Oh, I felt pain. I spent about $2,000 to fly to LA and stay in a hotel three time zones away. Leaving my children and out of the office not working for three days. Waiting for the call and the opportunity. Planning in advance, I purchased tickets to attend the live audience taping of Hot in Cleveland, the award winning show that Betty White stars in weekly. I didn’t want the entire week to be a loss. Because entrance is on a first come first seat basis, I wanted to ensure I got a seat so I showed up to the studio 3 hours early (in full stage make up, still with hopes of interviewing Betty). I was third in line, certain to get a seat. I was told to speak with the floor manager about getting VIP status so I could do a “meet and greet” with the cast after the filming. She turned me down, twice. Yes, twice. I was persistent. But, I was also polite. After all, I had a gift to give to Betty that I had carefully selected and purchased in Atlanta. 1. When you want something, go for it. Make all preparations to succeed. 2. Put yourself out there and be persistent but polite. Know when to sit down and enjoy the show. 3. Be ready for anything, but also be ready to accept nothing in exchange of your efforts except the gratification that you took action. Not every at-bat is a home run. Sitting on the sidelines (once in a while) is enjoyable too. 4. Congratulate yourself for the courage it takes to make the decisions you make and take the actions you take. Many people only dream of things they want, but never take the first step toward achieving them. 5. Recognize that failure is sometimes the thrust you need to move forward. John C. Maxwell wrote the book, Failing Forward: Turning Mistakes Into Stepping Stones, that is worth a read. If your marketing efforts or the implementation of Veterans Benefits into your estate planning or elder care law firm are not going as you expected, stop and praise yourself for the efforts you have made so far. Then, review and make some changes toward the result you want. P.S. I plan to write Betty White a personal letter, sending her the gift I got for her, and asking for an interview directly. Let’s see what happens! If you want to come see what Lawyers With Purpose has to offer your estate and elder law practice, please join us in June for 2.5 days full of training on Asset Protection, Medicaid & VA Practice With Purpose program. Sometimes just showing up is more than enough. There’s a quote that says, “90% of life is showing up.” I couldn’t agree more. Our last LWP Practice Enhancement Retreat brought home a powerful message: The Power of Community. The groundswell of last February's retreat was interest in “controlled growth.” I have personally attended all 10 of our Practice Enhancement Retreats, and February's was life-changing and practice-changing for over 150 estate planning professionals from across the nation. We were sharing values and goals with other like-minded entrepreneurs, law students, paralegals, client service coordinators, marketing coordinators – all of these different roles joined together to create a plan where there is controlled growth. The ongoing conversation about controlled growth played a big role in the success firms are seeing today, a little over two months since the last retreat. Some of the goals set in February have been met, some are on course to be met and some simply are not - and will not. Does that make those unmet goals a miserable failure? I would say no, quite the opposite. Those firms showed up and put pen to paper to create a path and a plan, and that alone is a success. The fact that they have the guidance system to know when to embark on the goal journey, and when it doesn’t necessarily fit and/or is no longer important, is success enough. They chose short-term pain over long-term pain and gave themselves permission to re-choose in real time. These conversations with others support you with controlled and consistent growth. Most people are afraid of growth and success. It’s scary. They don’t know if they are doing it right. They are afraid they are going to blow up what is working right now. Community can be the antidote for those fears. The 150 folks leaving Orlando after retreat week were on a high – but we are seeing now that people are beginning to gap out. June is just around the corner, and they’ll be back in the room for the next Practice Enhancement Retreat. That will bring accountability. Collaboration. Meeting with their Board of Directors. And there will be over 12 breakout sessions geared toward legal technical, practice efficiency, confidence building, creating a financial and client advisory board, a complete system for an annual client maintenance program and much, much more. It’s hard to believe there are two short months remaining until the June Practice Enhancement Retreat. After the second week of June, most people start summer “break.” And next thing you know, Labor Day turns the corner and we are fast and furious into the holidays and the year-end wrap-up. Where does the time GO??! We were going to do X, Y and possibly Z, but……. If you not a member and are interested in experiencing what Lawyers With Purpose has to offer, join us at our Practice With Purpose program June 9th, 10th & 11th. But don't hesitate - register today, spots are filling up fast! We'll see you there! Private civil actions for elder financial abuse under state law could include a complaint for restitution, compensatory damages, and punitive damages under one or more of the following. The burden of proof for civil claims is usually "preponderance of the evidence." Specific statutory causes of action for elder financial abuse or exploitation. Fraud or constructive fraud on the elder. Breach of fiduciary duty, or aiding and abetting a breach of fiduciary duty, to the elder. Rescission of transactions that damaged the elder. Conversion of assets stolen from the elder. Actions for an equitable accounting of the actions of a fiduciary charged with managing the property of the elder, whether as a Trustee or an agent (e.g. under a Power of Attorney). Section 116 of the Uniform Power of Attorney Act (“UPOAA”) allows for certain persons to petition a court only “to construe” a Power of Attorney or “to review the agent’s conduct” thereunder, and to grant appropriate relief, but only if the Principal lacks the capacity to revoke the Agent’s authority or the Power of Attorney. The persons who may petition for this judicial relief include the following. i. A person asked to accept the Power of Attorney. Disinheritance statutes. Several states (including Arizona, California, Illinois, Maryland, Oregon, and Washington) have enacted so-called “disinheritance statutes,” modeled after the more commonly encountered “slayer statutes.” These laws preclude a convicted perpetrator of elder financial abuse from receiving benefits as a consequence of the death of the elder victim. The abuser is deemed to predecease the victim for purposes of some or all of the following. Inheritance under a Will or Living Trust. Receipt of life insurance proceeds as a designated beneficiary. Elective share, statutory share, or homestead rights. Fiduciary appointments under documents executed by the elder victim. Benefitting as a permissible appointee of a power of appointment. Registries of persons convicted of elder abuse. Increasingly, Adult Protective Services agencies are creating and maintaining a registry of convicted elder abuse offenders that can be used to ascertain whether a prospective in-home caregiver (or other person with access to the elder) might have a history of, or propensity for, elder abuse. Thanks for coming back for another session of MMMNA school. There's a lot to this issue, and it can get a bit complex, but it's an important component in Medicaid planning. This post is part three of our series on determining MMMNA, the minimum monthly maintenance needs allowance, which is the minimum income allowance for the community (or well) spouse in a Medicaid claim. If you didn't see the first post, you can find that here, and part two is here. Our last post got into a few scenarios involving MMMNA, but there are some additional income allowances that we need to cover. The institutionalized spouse is allowed a personal needs allowance, which as we said, ranges from $30 to $106.50, depending on the state. The applicant is also given allowance to help pay for health insurance. So Medicaid basically says, we don’t want to get stuck being the primary insurance payer, so in addition to your personal needs allowance, we’re going to allow you enough money to pay your health insurance premium so your insurance company can be the insurance of first resort and Medicaid can be your backup. To be clear, Medicaid only exempts the cost of health insurance for the institutionalized spouse, not the community spouse. So, only the institutionalized spouse gets the personal needs allowance and the health insurance allowance. The community spouse gets the MMMNA, which we’ve already talked about. In addition, about 25% of the states also have a housing and shelter allowance, and another 25% of the states have a heating and utility allowance. These allowances are a state specific issue. The federal law does permit it, but not all the states do it. And again, it's for the community spouses only, with the intent being to make sure that community spouses have sufficient income to stay in their homes. So again, institutionalized spouses gets their personal needs allowance of somewhere between $30 and $106.50 and they get to keep the cost of their health insurance so they can continue to pay that. Medicaid will let them do that. And the community spouse gets the MMMNA that we reviewed previously. Also, the community spouse could get a housing and shelter allowance or a heat and utility allowance if the state permits it. That's it, period. If you’ve got that down, that’s all you’ve got to know; it’s never going to change. If you're confused, it's because you’re trying to make it do something else, but it's really that simple. You just have to apply the rule. So, no matter what fact pattern is that you are looking at, the first thing you need to determine is whether you are looking at a max state or a range state, then follow the methodology we shared in the previous two posts. Next look at the income of the husband, then look at the income of the wife. Figure out which spouse is in the nursing home, and which spouse is in the community. Then you can calculate the MMMNA. And in addition to the MMMNA, you will possibly have the housing and shelter allowance and the heating utility allowance, depending on the state. Of course, if the applicant is not married, you don’t even have to worry about that MMMNA calculation. All of the income that a single applicant gets to keep is the personal needs allowance and the health insurance premium amount. You are probably thinking, OK, that's not so tough. And you're right, but you're not through it yet. Our next post will cover the income cap rules that factor in, so check back soon for that. The greatest success we have enjoyed thus far has been the improvement in teamwork. Our internal communication has improved tremendously which means fewer mistakes and greater efficiency as well as serving our clients more efficiently. If you can consider the workshops a "tool" then that would be it. We have experienced great success in holding the 7 Threats workshops in our main office in Irvine, California. We have been able to host about 12 and every one of them has been full, and has resulted in a number of quality appointments. 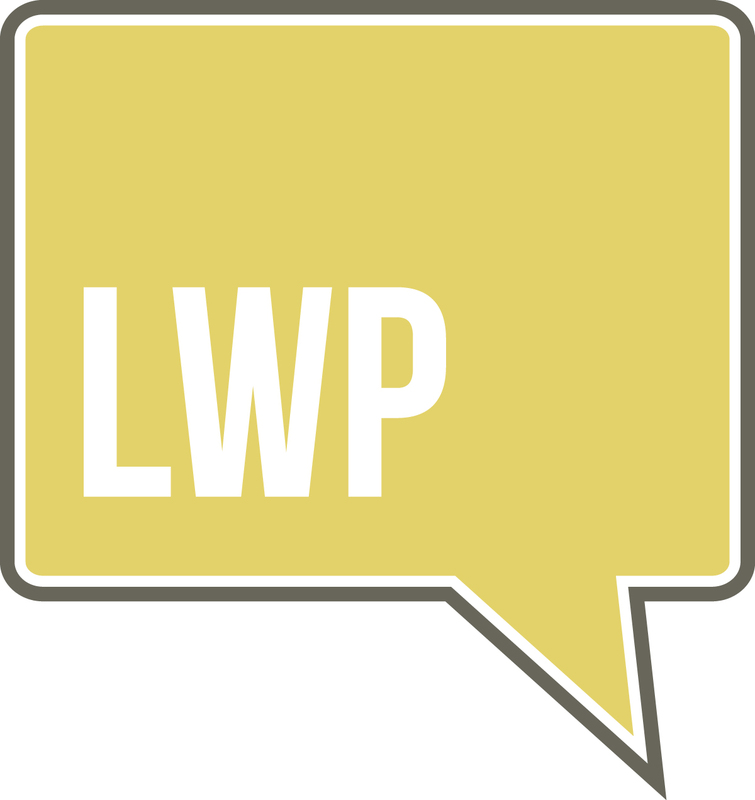 How has being a part of LWP impacted your team and your practice? Again, the increase in internal communication has made a big difference for us. The other major impact is that we now have a unified plan we all understand and believe in. Additional challenges for prosecuting elder financial abuse are presented by the growing number of interstate and international mass marketing fraud cases. Such cases include “grandparent scams,” foreign lottery scams and internet scams. Coordination among local law enforcement authorities in multiple jurisdictions (domestic and international) is labor-intensive and problematic. Lines of communication between local agencies and the numerous federal agencies that have authority to investigate and prosecute interstate and international scams is either informal or non-existent. Federal agencies involved in combating interstate and international financial crimes include the following. Federal elder justice programs are administered and funded through a complex intergovernmental structure. The Older Americans Act of 1965 (42 U.S.C. § 3001 et seq.) established the Administration on Aging (“AoA”) within the Department of Health and Human Services (“HHS”) as the chief federal advocate for older Americans, and assigned responsibility for elder abuse prevention to the AoA. In April 2012, HHS established the Administration for Community Living, which brought together the AoA, the Office of Disability and the Administration on Developmental Disabilities “to better align the federal programs that address the community living service and support needs of both the aging and disability populations.” See GAO, Elder Justice: More Federal Coordination and Public Awareness Needed (GAO-13-498)(Washington, D.C., July 10, 2013), at 4 (available at www.gao.gov/assets/660/655820.pdf). The Department of Justice supports HHS elder justice programs and activities by pursuing civil and criminal prosecutions of elder abuse and neglect, as well as health care fraud matters. Id. at 7. The Consumer Financial Protection Bureau (an independent Bureau within the Federal Reserve System) is charged with combating elder financial abuse through its recently established Office of Financial Protection for Older Americans (authorized by 12 U.S.C. § 5493(g)(3)) (“OFPOA”). Id. at 8. The functions of the OFPOA must include activities designed to facilitate the financial literacy of persons age 62 and older to protect them from unfair, deceptive, and abusive practices. See 12 U.S.C. § 5493(g)(1).